Long sleeve compression shirts are the most popular form of compression gear for the upper body, and popular with all kinds of athletes. 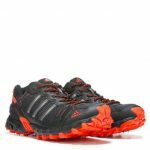 Fitness enthusiasts use them to complete their workout outfit. 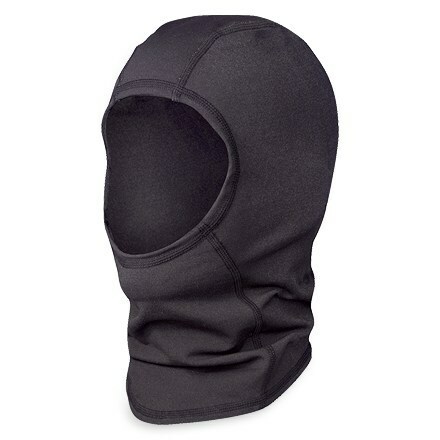 They serve as a base layer underneath a shell or jacket for many athletes who are doing colder-weather sports. Crossfit and workout rats often use them during training because of their ability to equalize warmth and wick moisture. More and more, we see people wearing them for no reason at all – other than the fact that a good compression shirt can be very comfortable. The world of compression gear has been around for a while, but it was about five years ago that we really saw the upper body gear begin to take off. Compression shirts were the most logical upper body compression garment, with the long-sleeve compression shirts immediately becoming the most popular piece for the torso. We have become hooked ourselves, and as such have tried just about every shirt on the market. We love how long sleeve compression shirts give you such a variety of functions – some keep you warm when you want to take your workout outside instead of run on a treadmill, while other shirts are actually designed keep you cool. Most give you better consistency in your upper body temp, and the compression levels help with muscle alignment in the shoulders, back, and arms. 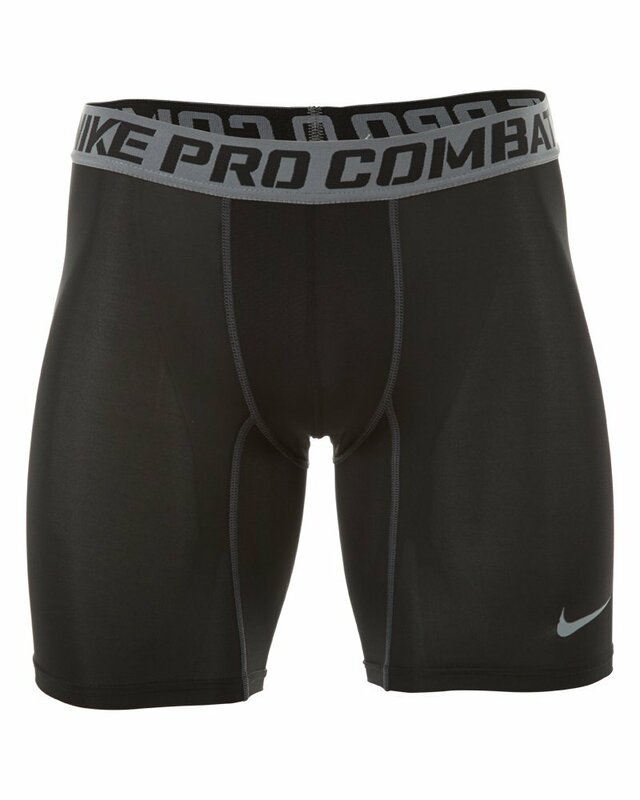 They have become popular for good reason, not to mention the recovery benefits of compression gear have become more and more proven by recent studies. If you recover faster, you can workout more, and you will be better at whatever it is you are training for. We will give you the low down on which shirts we think are the best, and give you the best value. Compression shirts come in all shapes and sizes, and you can spend as much as $80 or as little at $10 on one. What is the difference? We want you to be an informed consumer, so here are the main things to look for when you are comparing compression shirts. Fit. It goes without saying, but any piece of workout clothing that doesn’t fit your body well is not going to feel good. Generally speaking, the more you spend on a compression shirt, the more the fit will be forgiving and adapt to many different body types. Still, there are some brands that work better for the bulky bodybuilder, while others might be more tailored for the slender yoga enthusiast. Stretch. Most long sleeve compression shirts are made of a nylon and elastane blend. This gives it the stretchy quality of spandex, and a well-made shirt should give you the ability to stretch it about 4-5 times its normal state before it limits your motion. The higher-end shirts, however, have special paneling in key areas like the shoulders to allow even more freedom of movement where you need it. If you are buying a shirt for activities like weightlifting, yoga, or crossfit, this range of motion is very important. Materials. Most compression wear is made of some combination of these materials: Elastane (aka spandex, lycra), nylon, and polyester. The exact blend is often proprietary and could affect pricing, but the important thing to understand is which material blend feels best on you. It tends to not be a one-size fits all, but generally the higher % of elastan – lycra – spandex, the slimmer and more form-fitting the shirt will be… almost like a second skin. Heat versus Cold. Important to note is that some compression shirts are meant for cold, to be used as a base layer under other gear when the temperature dips. Think skiing, cold weather running and cycling, or football. Other compression shirts are specifically made for warmer settings, and they focus on features such as being moisture-wicking and fast cooling. Know which one will be best for your uses, and buy that one. Some makers such as UnderArmour actually label their products as HeatGear or ColdGear. Other makers use the word “thermal” when referring to their colder-weather models. Seams and Tags. In the category of “a small detail makes a big difference”, make sure that you go for a compression shirt that has comfortable seams, and no tags (or at least very, very comfortable ones). A cheap shirt often has cheap, rough seams, and this is a garment that will be rubbing against your skin during your entire run / ride / workout. Chafing is the enemy. Many of the better manufacturers use a form of flatlock stitching so that the seams are virtually unnoticeable against the skin. Tags are a similar matter – nothing is worse than a skin-tight shirt with a bothersome tag rubbing your back or nick. Price. For most of us, money is a factor in any purchase we make. For compression shirts, the price range is quite large. You can find some inexpensive compression shirts for as low as $12 or $15, but we would not recommend them. They are made in China from a generic design, and often sold on Amazon by people who have no garment production experience. On the other end of the spectrum, you can spend as much as $150 on a compression shirt by a maker like CW-X or 2XU. These shirts are awesome – so comfortable – but expensive. Not in everyone’s budget. The two price points we like are $30 and $60. At $30-$35, you start to get some real quality from makers who know what they are doing. At $60 or so, you begin to step-up to even higher-quality and thermal-type garments. We have long been fans of compression shirts, and have tried many of the shirts on the market today. 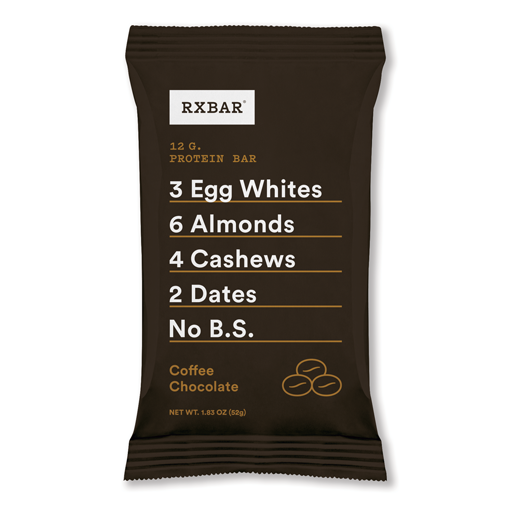 Here are five worth trying. We did our best to vary the brands and price points, as we realize variety is good and not everyone’s budget is the same. 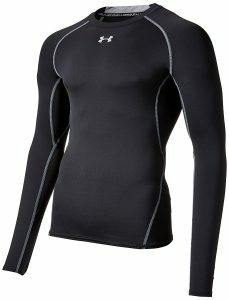 A great all-around compression shirt from UnderArmor. UnderArmour HeatGear Long-Sleeved Compression Shirt. At about $35, this is perhaps the best all-around compression shirt on the market today. While we like some of the smaller, niche players in this market, there is no doubt that UA has the resources to design good products and produce them at a fair price. The fit of the UA HeatGear is a reliable, snug compression fit with enough flexibility for most activities. 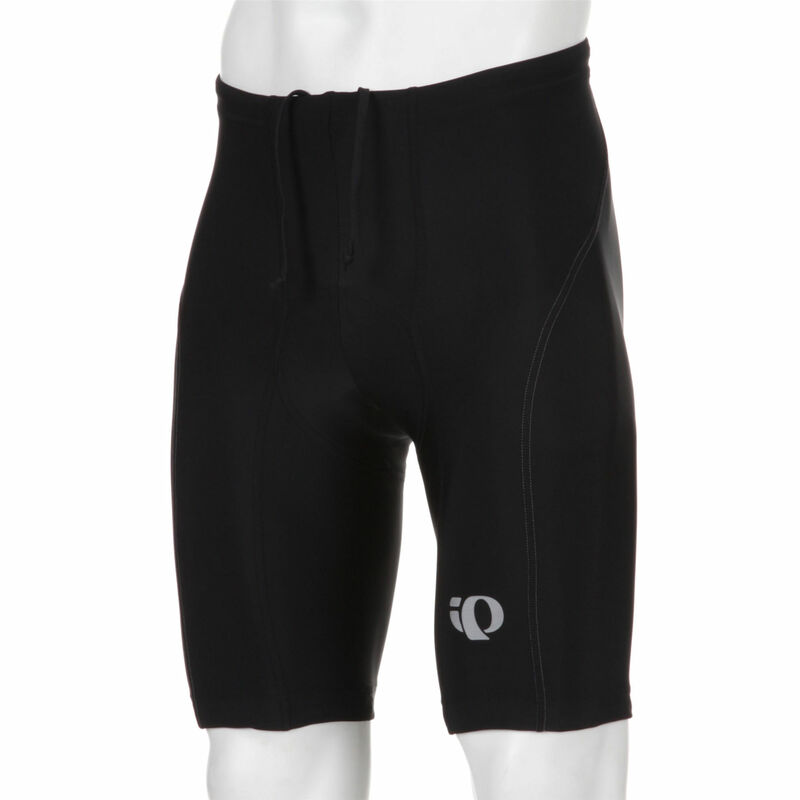 It is form fitting and thin – not designed for thermal uses but makes and excellent base layer under other layers. We light the length of the shirt and arms, which is long enough for someone who may be a little taller and longer in the limbs. 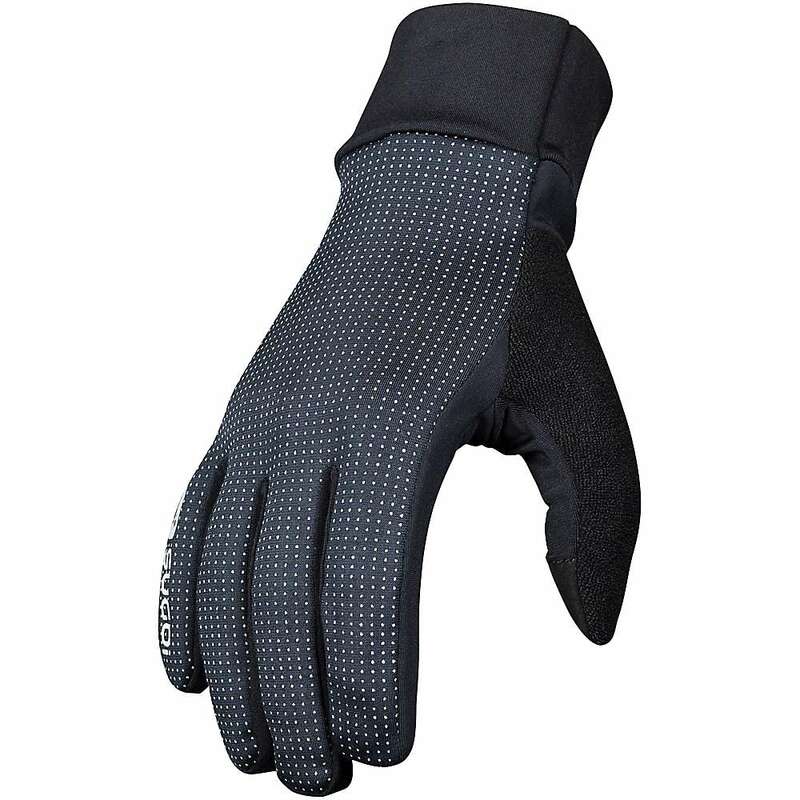 We are also fans of the under-arm mesh which provides some important ventilation where it is needed. We hate to get in the “if you only can buy one shirt” game, but if you can only buy one shirt, this is definitely on your short list. Tesla Cool Dry Baselayer Shirt. Tesla has done a nice job with their Cool Dry shirt. It is designed to be a baselayer or worn in warmer weather, and it really does provide a cooling effect that is nice in warmer situations. The fabric, a polyester-spandex blend, is effective at wicking away moisture which is where all discomfort usually begins. 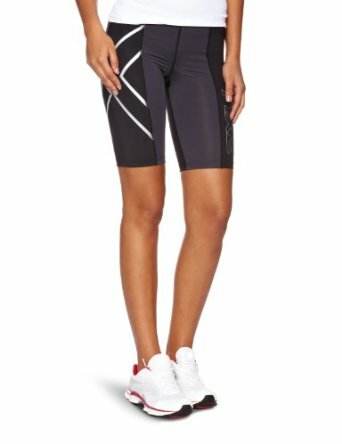 We also like the fit – which is a bit on the long & large side (nothing is more annoying than a compression garment that is too short). For those who are more compact, you may want to size down a bit on this one. If your goal is to have a long-sleeve compression shirt for warm situations, this is a strong candidate. The price point on this shirt is in the mid-range in terms of value and price. Find here. Champion Double Dry Competitor Shirt. Champion has been in the compression business as long as anyone, and while they don’t quite get the accolades of the higher-end brands, they quietly put out lots of good-quality garments. The Double Dry Competitor shirt is one that we discovered recently, and we are fans. As the name implies, this shirt is focused on keeping the person wearing it dry. The blend – a poly / spandex combo that we see from most brands – is effective at moisture wicking and also provides a nice level of stretch in the shoulders and elbows. We are also big fans of what they have done with the seams – they are flat, don’t unravel after some washing like we see some brands do, and we have never had a chafe. We also like that Champion does not use tags on their compression gear. Overall, good value for the money. Find here. 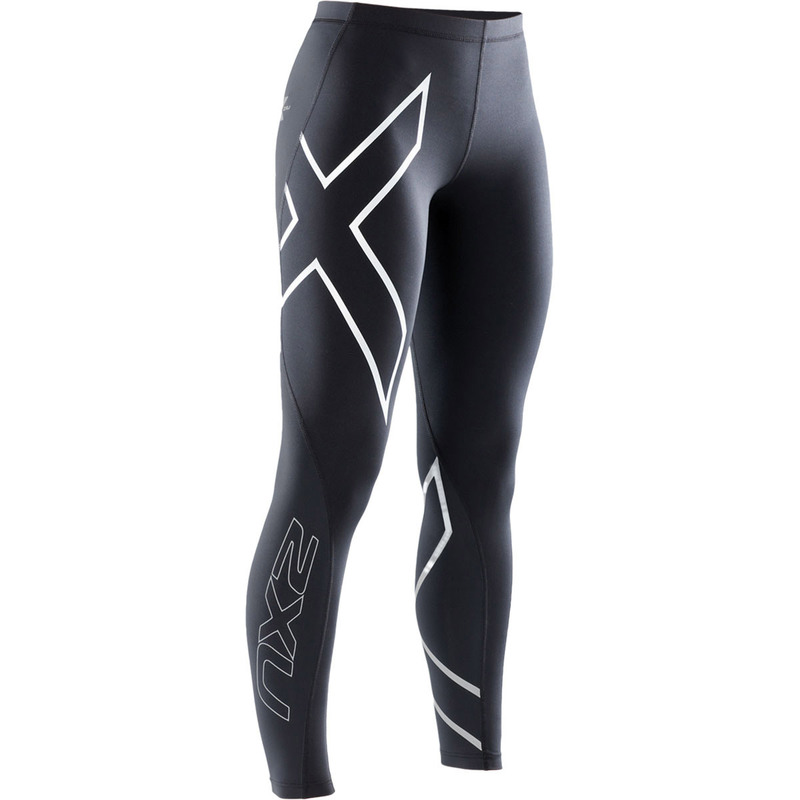 2XU makes some of our favorite compression gear — if it fits your budget. 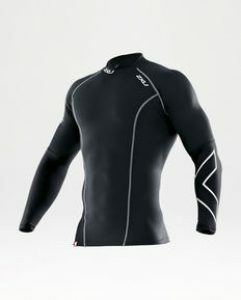 2XU Elite Compression Long Sleeve Top. If you can spend a few more bucks on a shirt, this just might be the one to get. We thought we would throw one high-end shirt into the mix, and the Elite from 2XU qualifies as just that. 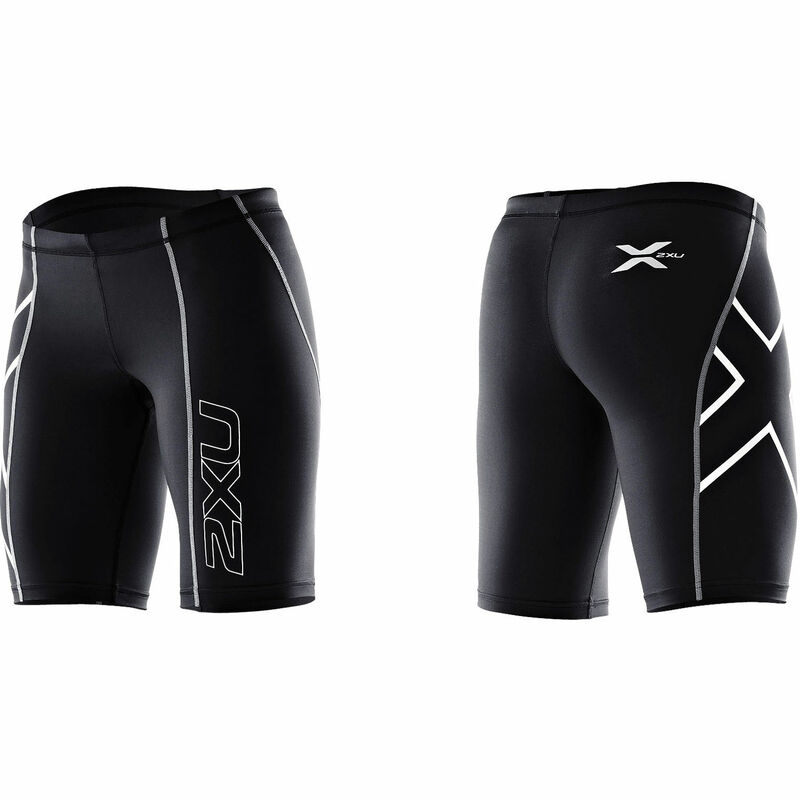 We are huge fans of the 2XU brand here at C+D, and we their Elite model, which shows up in each product line, is always high-quality product with a great fit. The Elite compression shirt is no different – the fit is very good, compression level is stable and consistent, and the garment holds up after many uses and washes. It is great for a variety of uses, but probably most popular with those higher-intensity workouts such as weight, crossfit, football, and the like. 2XU shirts give a little more compression than the others, something they suggest helps with posture and breathing. The fabric stretches in all the right places and provides for excellent range-of-motion. It is also intended to be a recovery shirt, with the same benefits of garments like socks and shorts. If we could change one thing, it would be that this could be machine-dryable, but we can settle for a hang-dry instruction for such a high-quality shirt. If money is not an object, this might be the shirt you want. Find here. The UA Heatgear lineup is always reliable. UA ColdGear Compression Shirt. We discussed the HeatGear shirt earlier, but the UA ColdGear shirt is also worthy of a spot on this list. As the name implies, the ColdGear shirt is designed with thermal qualities for uses in cooler weather. It is slightly heavier than the HeatGear shirts because of its two layers – the thermal layer on the inside, and the slight water-resistant, almost windbreaker (very light) on the outside – but all in one comfortable package. 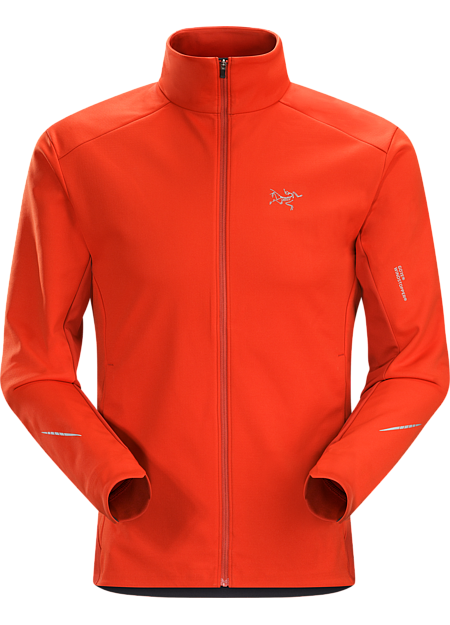 This is a great garment to gear while running or doing colder-weather activities in 45-60 degrees, or in slightly inclement weather. We know several folks who simply enjoy wearing this shirt in fall weather because of its comfort and convenience…. And you don’t have bulky sleeves getting in your way like you do with a sweatshirt. You will stay dry and warm. Price wise, this one is a bit higher-priced than the other UA garments, but that is expected given the additional engineering in this piece. Find here. These five long sleeve compression shirts are not the only ones on the market, but in our experience and judgment they are all quality pieces that would be good investments for any fitness enthusiast or athlete. As always, we love to hear your input. If you have experience with other shirts that we should consider for our next list like this, please let us know! If you want to tie all of the compression shirt information together, take a second to review this brief video overview.